There are two approaches to growing youth membership and Districts should use both at different times. Membership can grow by increasing the number of Guides in existing Units. This may involve attracting more youth members until the Unit is at capacity as defined by the supervision ratios in Guide Lines or by recruiting a new Unit Leader or Unit Helper to allow the number of Guides in the Unit to be increased. Membership can also grow by opening new Units. This might involve splitting an existing Unit with a wide age range into two with a narrower age range. This reorganisation allows more girls to join and provides a program that is better matched to the developmental stages of the Guides. It may involve opening a new Unit in the same location on a different day. Or it may involve opening a new Unit in a new location. Opening in a new location might be important where the community is changing, as existing locations may not be as accessible to the community in the future. Opening a new Unit can take time, but including it as a goal allows time for volunteers, venue and interested families to be found. Encourage Leaders to think through the whole process of attracting new members including what kind of community events to support, promotion campaigns to run or visitor events (bring a friend, come and try, open day) to hold. Unit recruitment events are best planned for the middle of the term, so Leaders have a few weeks before the event for preparation and promotion. They then also have a few weeks after for the girls to visit. 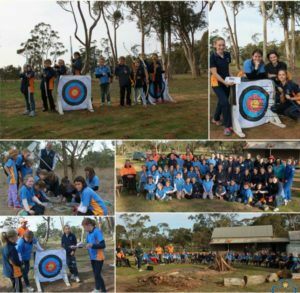 It helps if the Units or the District has an exciting camp or activity planned for the end of the term as this can be used to entice the new girls to become members. Some States provide specialised advice or have roles dedicated to member attraction and retention. At Region level consider appointing a team member responsible for membership. Make sure you record enquiries and then follow them up afterwards. Also pass on enquiries from outside your area – the goodwill will be returned in time. If you are looking to open a new Unit take the contact details of people who are interested and set up a mailing list/newsletter to update them as it progresses. Some people won’t commit until they can see it’s going to be real, and a newsletter this keeps them interested and involved in the meantime. It’s important to make sure we don’t put up any barriers to girls from different groups feeling welcome in Guiding. As a starting point, make sure your Leaders don’t make assumptions that every member comes from a Christian background. For example, don’t assume everyone will celebrate Easter, could you plan a District camp for Eid, do you include Halal food in the end of year BBQ breakup? You could perhaps ask your State to develop and deliver a training session on multi-cultural Guiding or attend any local council training in cultural awareness. There are probably ethnic groups in your area both recently arrived and more established. Are there community organisations that support them that you can talk to in order to better understand their needs? Approach these groups respectfully, rather than assuming that they will want Guiding. First seek to understand what the community may want and then speak about how Guiding can offer this, e.g. 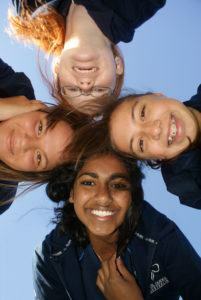 activities for girls in a safe environment, leadership development and skill development. Find out about playgroups for ethnic communities and advertise to them in the say way you might advertise to other playgroups. If you own your meeting place, consider seeking an ethnic playgroup as a tenant, bringing in both rent and exposing that community to Guiding. Include non-Christian religious schools in your school visit plans. Some religious schools may be happy to start school-based Units. In this case, they may want their teachers and parents trained as Leaders. You will need to carefully consider the Learning Partners you appoint as they may need to offer more language support. If you are successful in establishing a Unit in a religious school, they will naturally integrate into the District. Many ethnic groups place a strong value on learning. Ensure both the way you talk about Guiding and the program shows the non-formal EDUCATION aspects and the way girls develop. Don’t let families think it’s just craft / games / cooking, but make explicit how those activities build team work, develop leadership skills and promote healthy life styles. If you advertise in ethnic press, endeavour to use the language. If you have volunteers with language skills they could translate advertisements, otherwise you may need to seek State assistance. Guides with special needs work on the same program as other Guides. Because of the emphasis on self-development and personal challenge in the AGP the flexibility exists to adapt activities to the specific needs of these Guides. Supervision ratios may need to be adjusted and the program modified to suit their unique requirements. Sometimes extra help may be required, particularly if the girl is unable to feed or toilet herself; this could be the girl’s carer or parent. If extra support is needed it must be understood that the carer takes an active role in the program. In the first instance the Leader and District Manager should handle these discussions and if additional assistance is required consult with the Region Manager. There is a Guiding website providing information, advice and training for Leaders to support Guides who have special needs. Click HERE. Recruiting new members can be hard work but keeping them comes easily with a full and varied program which reflects the interests and passions of the girls. Having a healthy District is important too, with well-trained and passionate Leaders, a range of Units, a defined process for transfers between age groups and a District calendar of events and outdoor activities which adds variety to Unit programs. Apart from a boring and repetitive program other factors can stimulate turnover such as instability in the leadership team, mishandled progression from one Unit to another, a poor experience at an event or camp or girls moving from junior school to different high schools. If your State uses exit surveys, these can be very useful to identify any trends or common factors. Planning the progression of girls between Units is an important District activity. It might be however that there are no other Units girls can move onto and so your Units have a wide age range. If a girl is becoming discontented or bored she should be encouraged to undertake more challenges but ultimately it might be better that she progresses to another Unit rather than be lost to Guiding altogether. Part of your role is brainstorming with your Leaders ways of keeping all girls stimulated and interested. One solution might be for the Unit to start only with the younger Guides and older Guides to arrive an hour later. The Unit could have an overlap time to include both age groups and then the older Guides have an hour by themselves. If there are enough Leaders, at some meetings there could be parallel activities with specific Leaders and the group could be brought together for openings and closings. Whatever structure is used, Patrols should be taking responsibility for what they choose to do. Parents may also question the value of Guides if they don’t understand how the AGP adds value. It is worth holding information nights for existing parents on the AGP and also showing them badges and awards in action, so they understand the value of Guiding and are more likely to remain engaged. Problems can also emerge if there is a mismatch between what the girl and family expects from Guiding and what they get. This can be due to failing to manage the expectations of the girl and family or failure to actually deliver a good quality program. The District Manager is perfectly placed to take an overall view of membership trends. Inconsistent attendance is normally the first sign that not all is well. Spending time at meetings reviewing membership stats and planning for progression between Units is also essential. If your State Girl Guiding Office does not use exit surveys you may want to set up your own process to collect information on why girls leave. 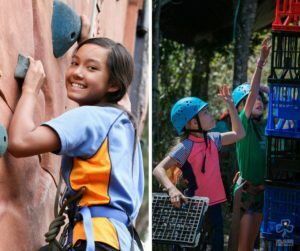 Guiding is very different from some of the other sports and recreation activities children attend, where the commitment is perhaps only for a term, with an option of returning the following season or term. Currently we expect Guides to make a longer term commitment. Whilst it is unrealistic to expect that every girl will stay until they turn 18, girls leaving after 3·to 6 months indicates that something is wrong. Girls who stay a year have experienced only some of the benefits of Guiding, so it’s important to communicate clearly to parents the benefits of staying longer. 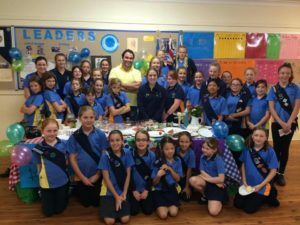 Parents of Guides are a significant source of volunteers. Some women will become Leaders in order to secure the viability of a Unit, but others may make the decision after some time, but only if they see it as a worthwhile commitment. Getting parents involved starts with an exciting program which makes a difference to their own children. This also involves keeping parents informed of the progress their daughter is making and welcoming them when they drop off and collect their children. As a District Manager think about which parents have leadership potential and approach them directly. It’s very flattering to be approached in this way and although the woman might not say yes immediately, you will have sown the seed! Large numbers of Leaders were previously chairs of Support Groups. If a parent expresses interest in leadership, trialling them as a Unit Helper is a good way to start. But it’s also critical to be honest about the commitment required; if they feel they were misled, you might not only loose them as a Leader but also their daughter from Guiding. Whilst promotional and PR activities can attract new adult members, the most powerful method is word of mouth. Word of mouth is not something out of your control though. It means you and your Leaders taking every opportunity to talk positively about Guides and the benefits for you as well as the girls. Nevertheless marketing activities can stimulate awareness amongst adults of the opportunities to volunteer or to become a Leader. Supplies of the ‘Guiding for Adults’ brochure provide a simple summary of Guiding aimed directly at adults. PR stalls can directly targeted adults, particularly if held at TAFE and university open days, shopping centres or community college enrolment days. It’s also relatively easy to place advertisements for Leaders in libraries and on community notice boards or to use volunteer recruitment websites such as Seek Volunteer, at https://volunteer.com.au. Be aware that on Seek Volunteer there may be limits on the number of vacancies that can be advertised, so it is worth considering registering as a District or Region. Although Seek Volunteer might only produce a volunteer enquiry every few months, that’s more than we get without it. Once it is set up it takes little time or effort to maintain, and can be reviewed annually to ensure it remains current. Many areas have a local volunteer resource centre that has a register and will match opportunities to volunteers. If you have local centre get to know them and find out the sorts of enquiries they have. You will also be able to set up a profile for the District.